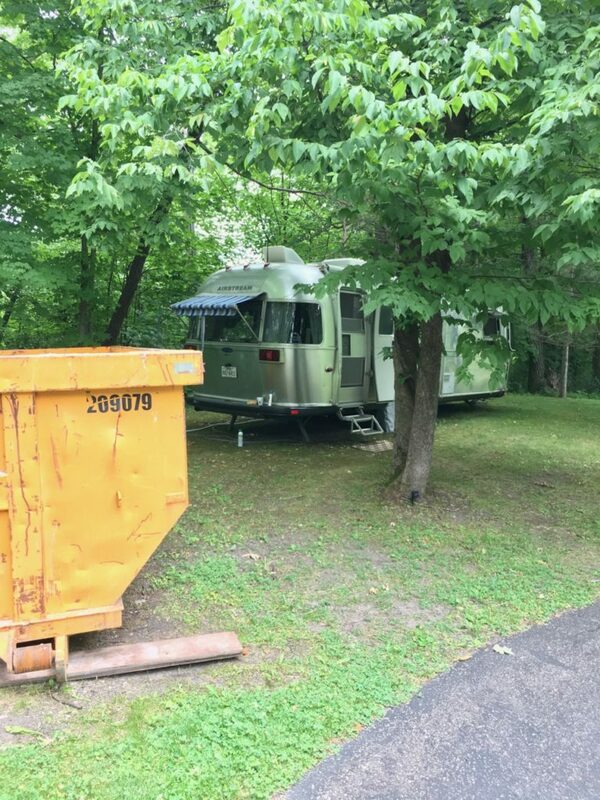 Our Airstream Summer – Remodeling in Style in Wayzata | Knight Construction Design Inc.
Credit good people karma. Alisa Benson had let her sister, Jennifer, park her Airstream trailer on their large wooded Wayzata lot for two years. Last year, her husband Sean was eager to see it go, but Alisa appealed for patience. 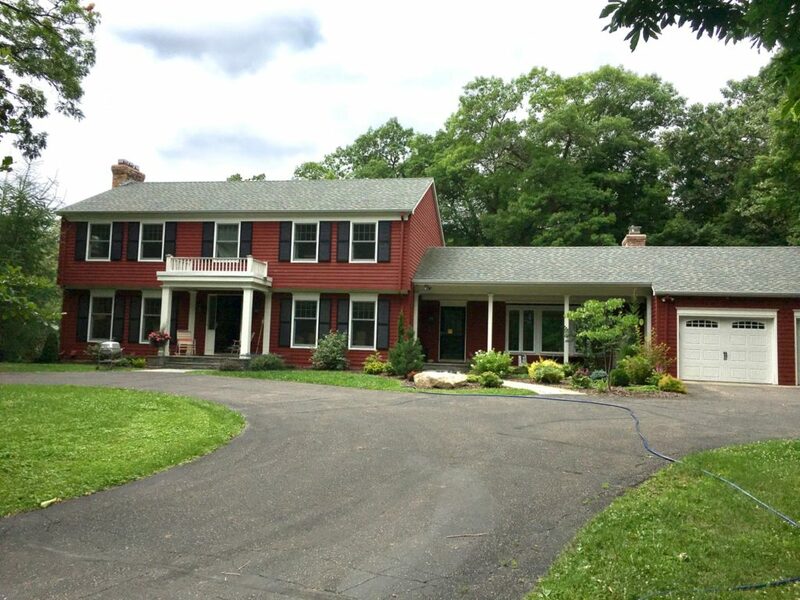 Then they signed a contract this year for Knight Construction Design to undertake a summer-long remodeling of their 1969 home and everything changed. Suddenly, it became the “Airstream summer.” Now the couple and their two boys could not be happier to have the shiny guesthouse on wheels just across their secluded circular drive. Ask anyone. Living in a home during a major remodeling usually is something to be endured, not enjoyed. Some families plan ahead by setting up a temporary kitchen or heading out on a nice long vacation. The less fortunate ones end up preparing crockpot dinners in the basement and washing dishes in a laundry sink. The Bensons had a much better idea. They commandeered the Airstream to cook and eat meals and gather while their kitchen and family room were torn apart. The classic trailer also made for a nostalgic backdrop for their patriotic July 4 party. Alisa and the boys even sleep out there now and then – just for the fun of it. 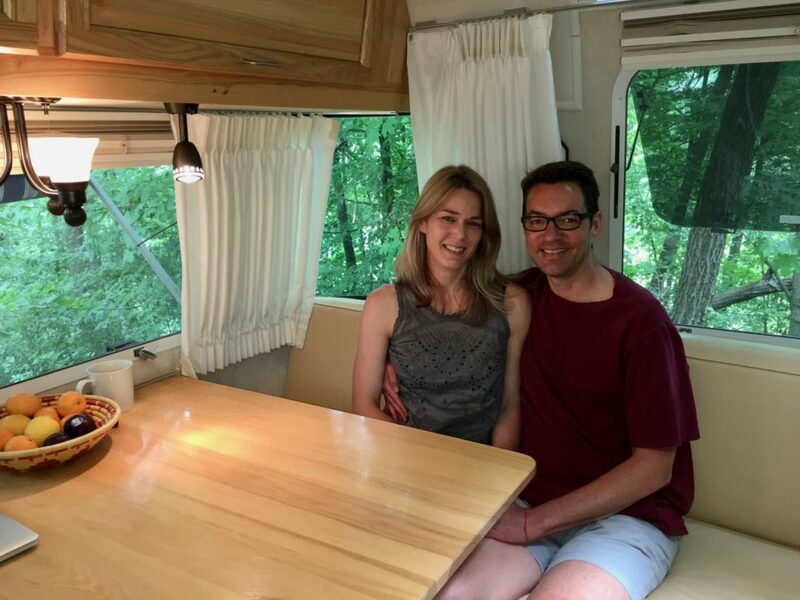 Sean half-joked with Jennifer that if she didn’t plan to use the Airstream after they were done with it this fall, she should rent it out to another family planning a major remodeling project. Well, maybe a family further south. Think AirBnB on wheels. Granted, a new(ish) Airstream with air conditioning and running water isn’t exactly roughing it. But camping (or at least cooking) in the trailer all summer long has helped the Bensons appreciate the simpler life and pull together as a family. “I think you pull together more as a family when you are camping.” Alisa explained. “When I say to the kids, hey the water in the tank is getting low. Would you go and connect the hoses? They do it. They are learning how to service things. They’re also learning that when we need something done, like checking the propane, we need it done now. It’s not like, ‘would you do the dishes when you feel like it?’ It’s ‘I can’t cook dinner until we get the hose thing connected.’ They are more mindful of the fact that this only works if we are all pitching in. It’s not like ‘do this to get the gold star’. It’s ‘I need water.’ And it makes you appreciate water more,” Alisa said. What’s more, lessons from the experience have drifted to the remodeling project design. For instance, Knight designer Kristen Peck worked with Modern Design Cabinetry to incorporate open shelves in place of upper cabinets in the kitchen because the family wants to store less stuff and keep it accessible. The Airstream may be Minnesota’s coolest construction trailer, but the Bensons admit it has not been without its challenges. Fortunately, it was not the Airstream winter.